Graci presents the capsule collection "1001 nights"
The luxury Spanish brand GRACI is known as a brand with meticulous attention to details and with a big love of splendid girly dresses. 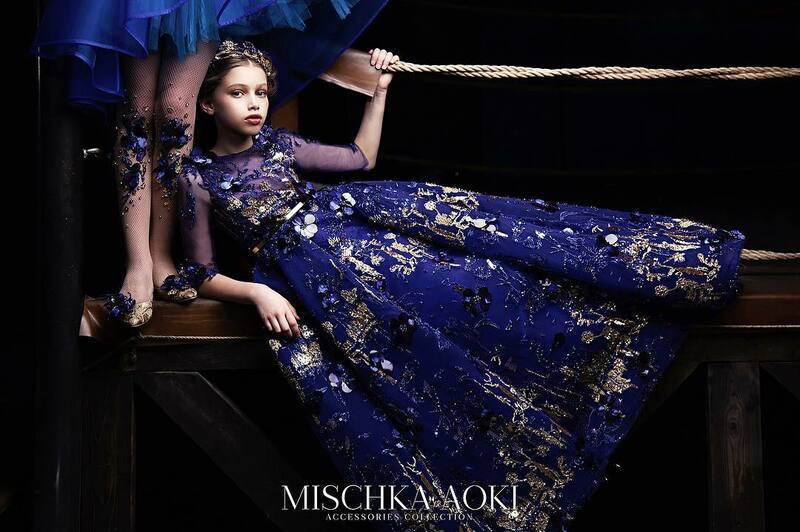 Their new capsule collection is inspired by the "1001 nights" tale, where little girls are portrayed as inhabitants of a magical kingdom of boundless wealth and unutterable beauty, full of princesses ready to live wonderful stories. Striking, ivory and pink jacquard dress by Graci, with elaborate, red and gold military braiding edging the neckline, sleeves, and hem. This lovely flared dress has red jewelled detailing on the chest with wide, frilled sleeves, striped in pink. There is an opening at the front to reveal a matching, striped skirt underneath, with a silky lining. The dress is fully lined in a cotton blend, with a tulle frill to give extra volume. Perfect for any special occasion, and would look fabulous with red shoes. 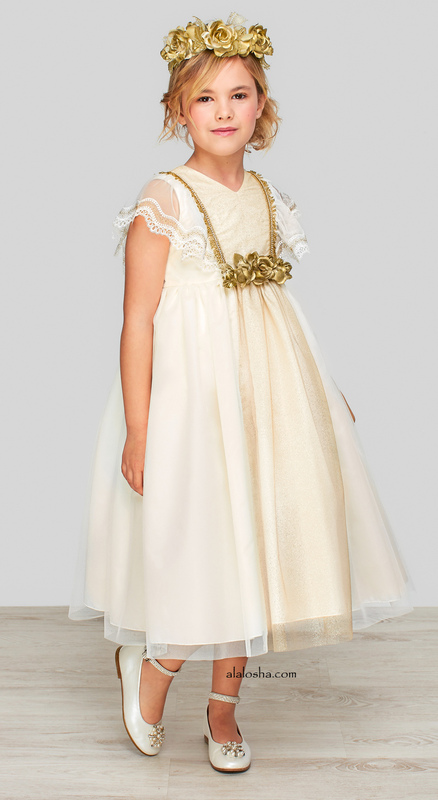 Beautiful, silky, ivory dress by Graci, with a tulle overlay which has a central, sparkling, glittery gold panel. The panel on the bodice is edged with shiny gold fringing, secured with a narrow gold chain and has an eye-catching, gold, floral brooch, which can be unpinned and used as a corsage on other outfits. The dress has delicate, white, tulle sleeves with a wide lace trim and is fully lined in a cotton blend, with a tulle frill to give extra volume. There is an exposed gold zip fastener at the back, with a diamanté pull tab. Perfect for any special occasion, and would look fabulous with a gold headband. 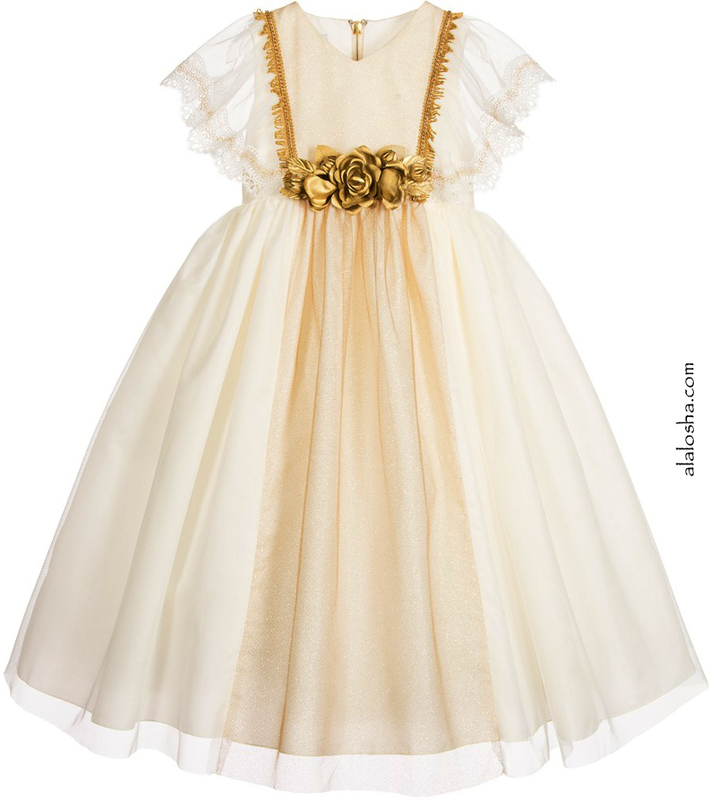 Lovely silky, ivory dress by Graci, with a sparkling, glittery gold tulle overlay. The neck is embellished with diamanté and pearls, and the dress has wide, ivory, embroidered appliqué trims on the cuffs, waist and down the front, decorated with intricate gold thread. 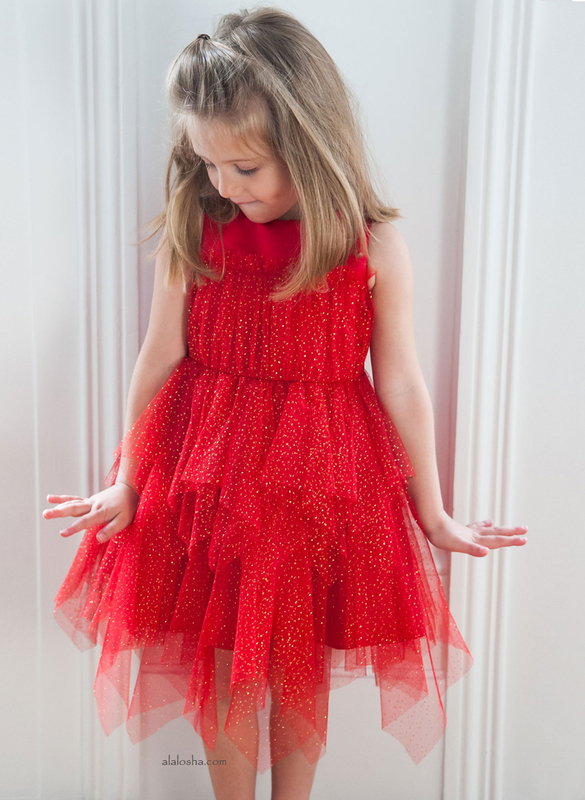 The dress is fully lined in a cotton blend, with a tulle frill to give extra volume. There is an exposed gold zip fastener at the back, with a diamanté pull tab. 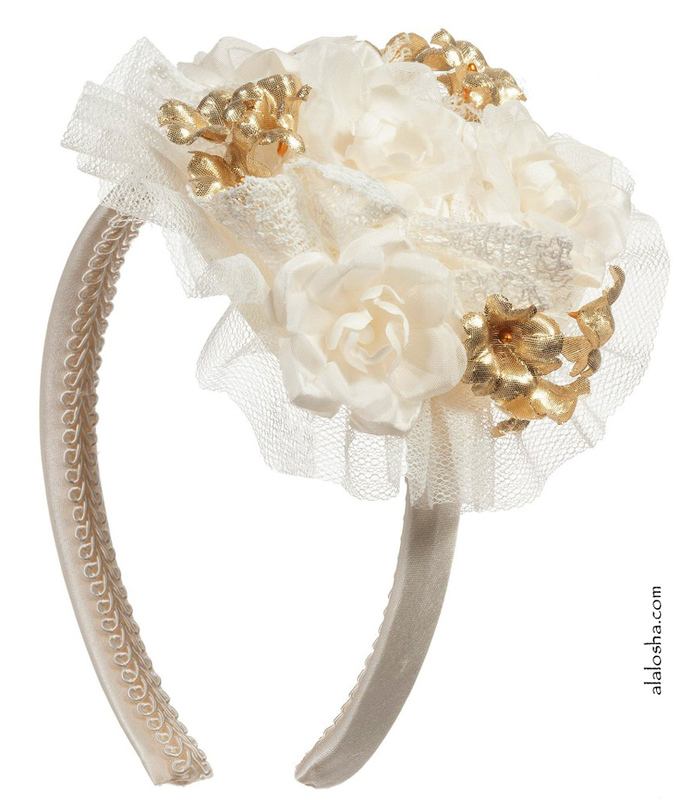 Perfect for any special occasion, and would look fabulous with a gold headband.